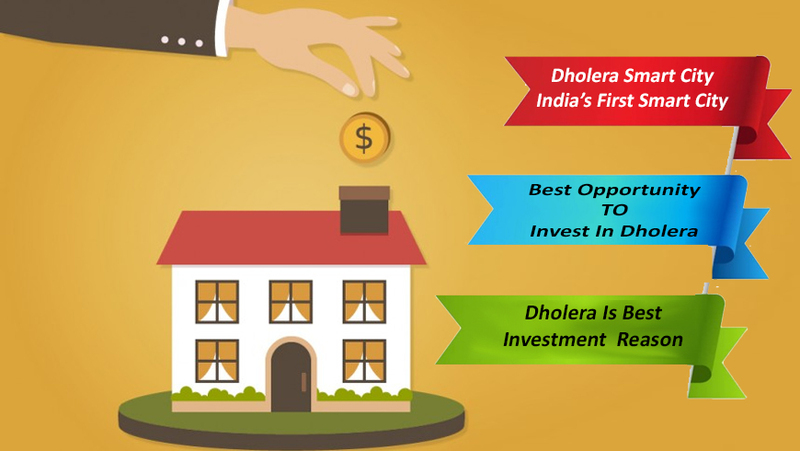 Investment in Dholera! Is it really that lucrative as being spoken of or is it just a myth? In this article, we shall mention whether investment in Dholera really worth it and if yes, what makes it so. The biggest Greenfield project of India is also the fastest growing one. While the deadline set for completion of development of Dholera has been set at 2040, the city is expected to be home to 1 lakh citizens by 2019. Being the maiden smart city, it has certainly got a head start. The pace of development shall directly and positively impact the economic growth of sectors including the real estate sector, thus making investment in Dholera a favorable one. Land in Dholera is cheap. When we say cheap, we mean it!Compared to the other 100 smart cities those are lined up for development, the properties being offered in Dholera demand way below the average price. The reason for this can be attributed to the city?s lack-lusture growth so far. The scenario is however in for a big change. Given the accelerated growth of the region with the larger than life economic progress projected by the government, the real estate prices in the city are soon to soar up. A higher than average increase in per unit prices can easily be expected in the smart city within a short time span. Thus any investment in Dholera shall not only gain but gain better than any other city in the country. Dholera is merely 100 Kms away from DMIC and its adjacent Dedicated Freight Corridor. DMIC has been termed as the economic backbone of India and a global trading and manufacturing hub. DFC is meant to provide strong logistic support to the corridor and to neighboring cities. Being close to both the corridors augments Dholera?s economic possibilities and shall go a long way in turning the fortunes of the city. Dholera shall be seen as a favorable venue for setting up manufacturing plants and factories by multinationals and diverse industry. With this, the growth of Dholera is inevitable and the same holds true to the property markets in the city. Rs. 2,784 crore towards development of trunk infrastructure, Rs. 1,734.04 crore towards construction of roads and services and Rs. 1,700 crore towards the making of Dholera International Airport. Dholera has been a receiver of enormous funds from the central government which makes its development easier and faster. Investment in Dholera and large funding is also being made by alternate channels and foreign investors. This is bound to add wheels to the city?s overall development. Dholera?s connectivity has been planned beyond national level. The approval of Dholera international airport has introduced Dholera to a plethora of extended opportunities. Apart from this, it is also connected via road, rail and port to all Indian cities.Investment in Dholera can thus be termed as the best option in current times.